Saint Vincent amid history and nature - from the colonial past to the magnificence of its gardens as far as a wild sea that laps a wonderful tropical park where we will cool down and relax. The excursion takes us to discover Saint Vincent, with the amazing panoramic view from Fort Charlotte overlooking the Mesopotamia Valley and Botanic Gardens. We head towards Fort Charlotte, a former British military garrison completed in 1806. In Fort Charlotte, a collection of paintings depicting the history of the black Caribs is on display. The cannons and maritime signalling station are still visible and there is a lovely view of the Grenadines to the north of the island, of Kingstown and much more. We then visit the Botanic Gardens, considered the oldest in the western hemisphere. 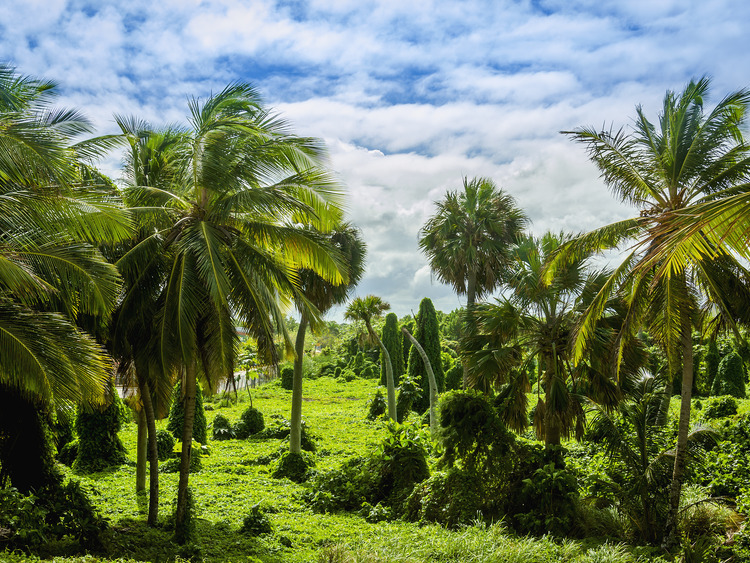 The Gardens cover 8 hectares and are especially enjoyed by nature and gardening lovers who can wander around looking for coconut, bamboo and palm trees. Owing to strong currents, we do not recommend you dive into the Rawacou sea; guests are invited to use the man-made pool instead.